The Spa at WDC carries a full range of products artfully selected to help you achieve the healthiest, most radiant skin possible. Please visit our product manufacturers below, and if you have any questions, please talk with your WDC Spa consultant by calling 505-855-9267 or schedule an appointment online. The SkinCeuticals® line of advanced skincare products is designed to prevent future damage, protect healthy skin, and correct previous damage. This line of science-backed skincare grew from years of research into the problem of skin cancer. The result is a range of potent options that are highly concentrated to maximize effectiveness and proven to have optimal skin penetration. 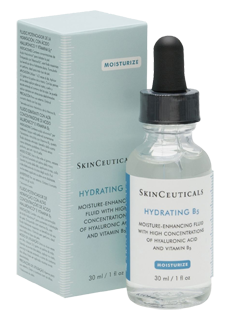 SkinCeuticals® products are made in the United States and available via dermatologists and other medical professionals to give patients powerful skincare treatments that can be applied at home. They can be used on their own as part of an established beauty and health routine, or to complement and enhance the results of treatments performed in the office. All of the products are made with pharmaceutical-grade ingredients and are put through rigorous clinical tests before being offered to patients to ensure their efficacy and safety. Latisse® solution is a prescription treatment used to grow eyelashes, making them longer, thicker, and darker. If your eyelashes appear shorter, lighter in color, or seem to have lost their fullness, it may be time to consider Latisse®. 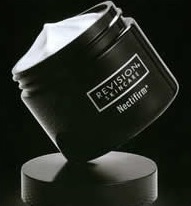 For the neck and décolletage, Revision® Skincare's Nectifirm helps repair damaged skin and return it to its natural beauty. Nectifirm helps the skin appear more firm and lifted; reduces the appearance of rough, crepey skin; and dramatically lessens the look of fine lines and wrinkles. Vaniqua® is the first and only prescription cream clinically proven to reduce the growth of unwanted facial hair (UFH) in women. Over time, you may be removing hair less often, and many women see significant results within just eight weeks. With Vaniqua®, your facial hair problem will be much easier to manage! 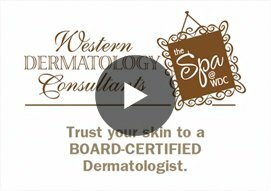 Find out more about these skincare products and other treatments available at Western Dermatology Consultants in Albuquerque. Call the spa at 505-855-9267 to set up an appointment or schedule one online.